Today the children enjoyed a World Book Week themed gardening club with local worm and soil expert, Fred Miller, who works for local community group, Down To Earth Stroud. It’s a great network of people who have been incredibly supportive of our school’s new allotment adventure. Fred came on board to help install the children’s new wormery and provide guidance about how to use it as well as give insight and raise awareness about the importance of our wiggly friends. The session began with a talk about worms, the roles they play and how to go about finding them. Very quickly, a dozen or so children were enthusiastically digging up the soil to find the biggest and most wriggliest of them all! Who knew there were so many different varieties? The children found compost worms, brandling worms, green worms, red earth worms, worms with a saddle, worms with yellow rings and rosy tipped worms. There was much excitement. 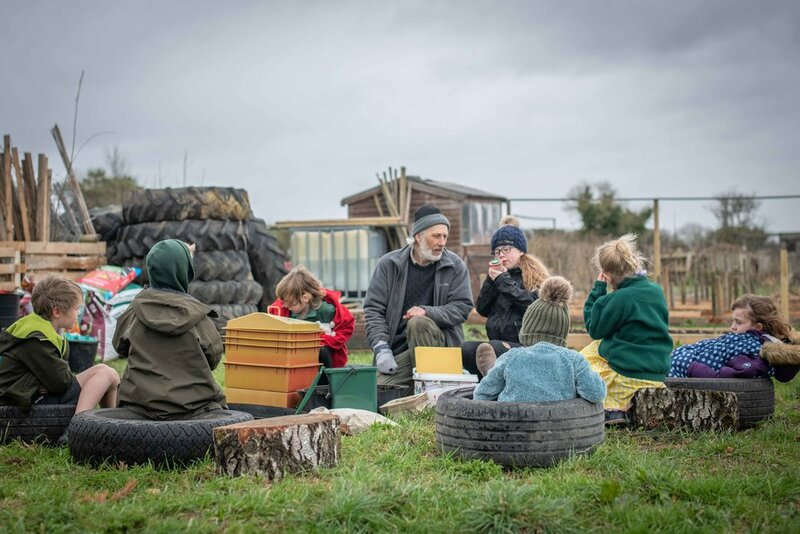 It always gives so much joy to see children outside, getting their hands dirty and really appreciating the natural world and everything it has to offer. Attention soon turned towards the school’s new wormery and Fred gave an incredibly useful workshop about how to set it up and look after it. The session ended on a real high with a spot of worm racing, a suggestion made by one of the parent volunteers. It went down extremely well. Those children who had been squeamish about handling the worms were soon picking them up and cuddling them as if they were cute fluffy bunnies! Great to see so much love for these fab little beasts. Worm racing turned out to be captivating , edge of your seat entertainment!! The objective was to see which worm could get it’s whole body out of the circle first. Wonderful to hear the children screaming words of encouragement - the worms were true professionals and weren’t at all phased by the pressure! As with most competitions, it was a close race and although there was no photo finish, there was clearly some discrepancy over the winner! The session ended with a few worm facts, which the children read out helped by a worm puppet sock! A thoroughly entertaining, educational and enthralling gardening club. Heaps was learned and loads of worms were found. Knowledge has been passed on from one generation to the next. A big thank you to Fred for giving up his free time to come and talk to the children and share his enthusiasm.